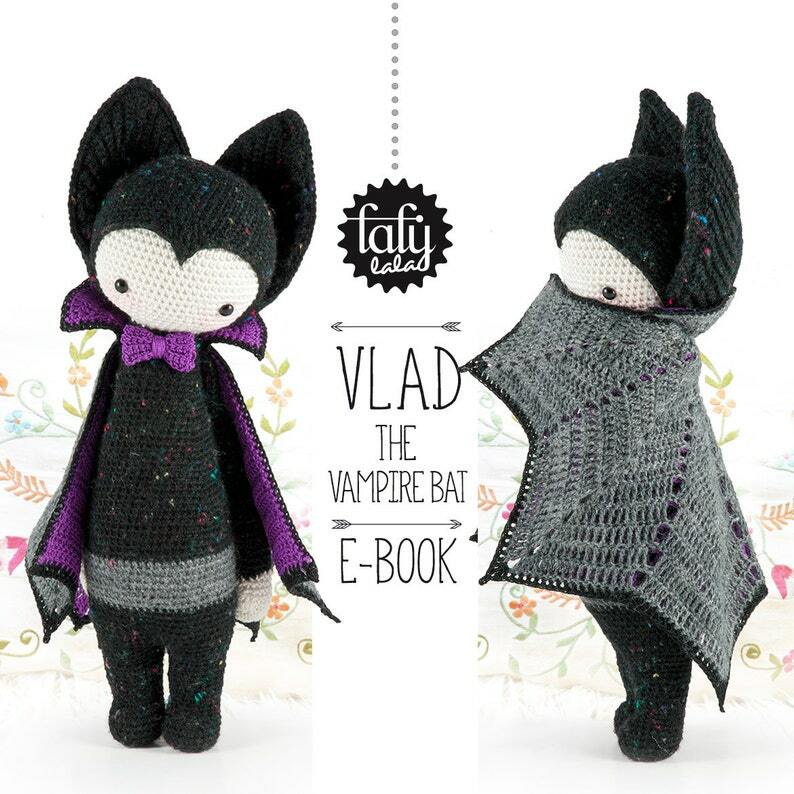 « Back in the day when Vlad was a very young bat, he was looking for the meaning of life when another bat crossed his path ... Batman! Soon Vlad became Batman’s sidekick (of course long before Robin entered the scene). But then Vlad found out that Batman just wore a costume and couldn’t even fly properly! What a bitter disappointment! So he moved on, and with the gathered experience from countless dangerous adventures, he started his career in the movie business as the stunt double for the legendary Bela Lugosi. Some years and one tooth-surgery later (for a correction of some peculiar misaligned teeth), he actually became a well known movie star! You've probably seen him in "Nosferatu“, "The fearless Vampire Killers", or "Dracula“. So cute! Pattern looks fairly easy. A very detailed and clear decriptions, and a lovely toy as a result. Thanks!